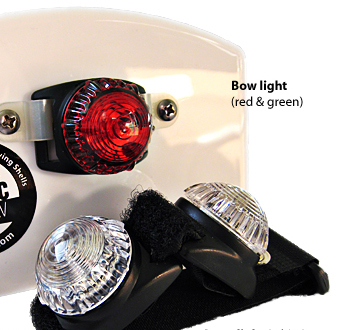 ARCNAV rowing shell lights were designed in response to the need for a lightweight, durable and simple navigation light system. 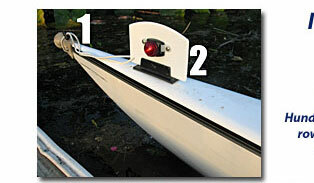 The latest design incorporates the highest quality LED light elements. Inquiries for custom designs and special orders are welcome. For any questions, please email me at the address "info" followed by the suffix "@arcnav.com" and we'll get back to you. 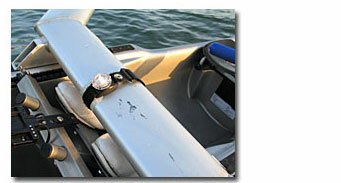 Thanks and safe rowing! !